Are you moving out or moving into a new home? You want to get your damage deposit back or just make sure your home is clean and sanitary before you start unpacking? It’s a big job to tackle all on your own! You need a Girls Gone Green Move-In/Move-Out Clean. If you or a tenant is moving out of your home, a rental home, apartment, or condo, your residence is going to need a deep clean. Girls Gone Green can help make your move go more smoothly! We can have your place tidy and sanitized, letting you to focus on other moving tasks. Every house, apartment, or condo is unique and requires varying levels of attention. 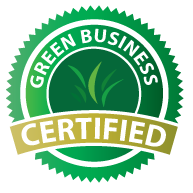 Girls Gone Green Cleaning will evaluate your needs and provide you with a cleaning quote before we start.